Twice in a row! 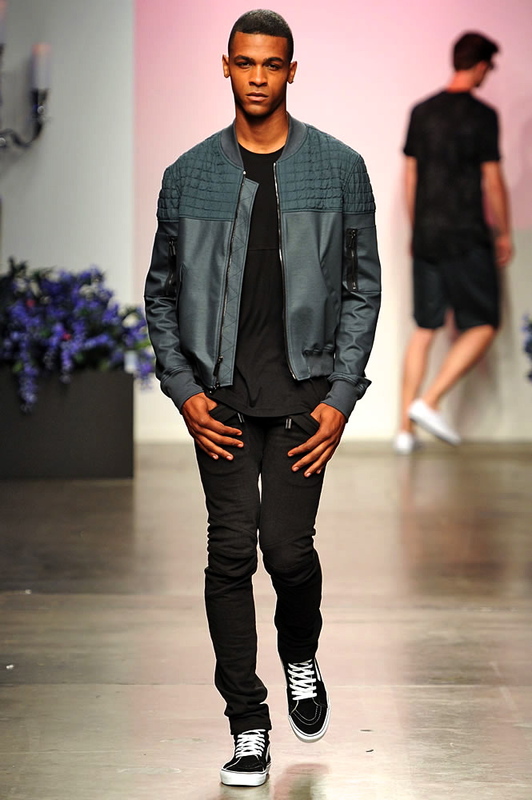 Back in February of 2014 I attended EN NOIR Fall 2014 show, and September 2014 there I was again. This time came with a different recipe, I was invited backstage to document and interview with stylist and Rusk Haircare creative director Gerard Caruso, “Stay tuned for that!” While backstage I met a few of the models, and got to view the collection up close before the show started! When I first received my invite to the show I was expecting all black, and leather! That’s what Designer of EN NOIR , Rob Garcia has instilled in our minds when it comes to his collection; rich and uber luxe leathers. Something tells me he knew we’d be expecting that so he switched it up on us! When I first saw the collection I was like “where is the black & leather” it was such a different collection than I had envisioned but different in a good way! This collection is for Spring so it was nice to see him use monochromatic burgundy, lighter version of military green, and teal. In those colors cited he made light-weight quilted bombers, baggy pants, distressed jeans, and a super distressed shirt ” I wouldn’t suggest washing it” dry clean only! En Noir is a LA-based brand so obviously you’d expect a very laid back feel from the designer and collection, with this season I definitely see how the two are synonymous, with the previous season I couldn’t convince you that Rob wasn’t from New York or any season at all, En Noir usually presents us with an all black palette so it’s nice to see him trace back to his roots. 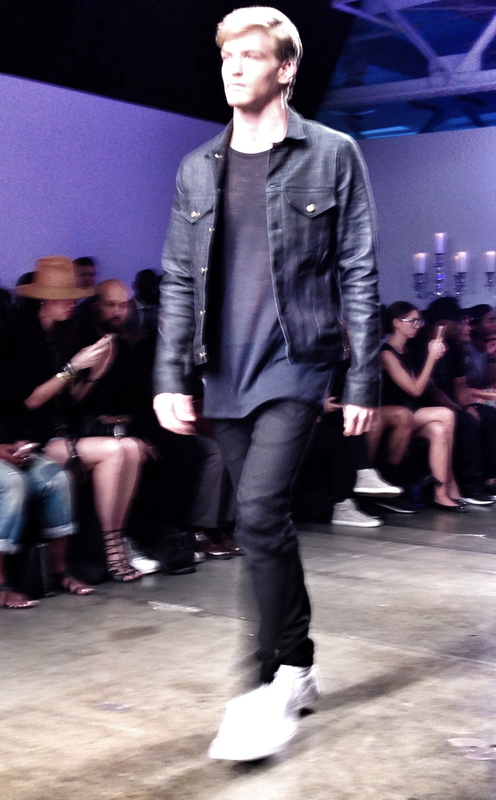 This collection also featured a sleek jean-like jacket but with a deep blue sea color instead of the normal blue, and with this jacket they paired these skinny distressed jeans, the whole look featured different shades of blue from top to the bottom. The collection also played on the blue-collar worker look with the onesie and dickie like work wear, which I totally loved especially the burgundy onesie. There was also this dark teal green number if you look through the look book it’s paired with a long sleeve coat like shirt with matching pants pretty much need this look as well. Check out the rest of Rob’s Spring 2015 Collection below!